This page contains a summary of Godfall (Batman) – Story Mode Chapter 1 for Injustice 2. Click here to go to the Story Mode Summary page! 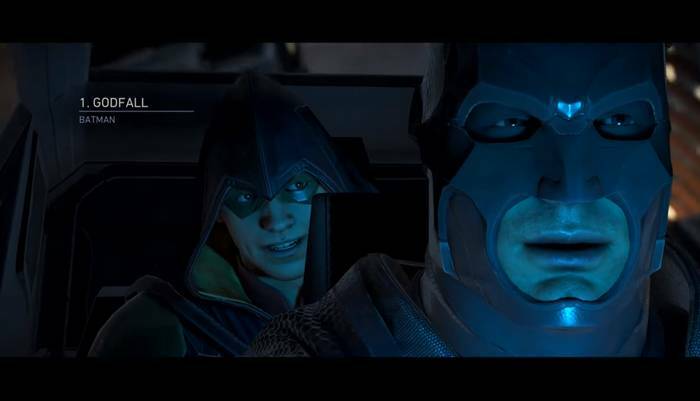 Injustice 2’s Godfall – Story Mode Chapter 1 narrates a flashback of Batman following the trail of Superman. He is accompanied by his son Damian (Robin) and encounters old faces who begin strongly share Clark’s realizations about humanity and crime at large.